It seems like my bump popped up overnight! I went from a mild one to a nice round one. This is especially evident when I turn, when I bend to pick up something or when I go to sleep. I can only imagine how this intensifies the further along I get! While my mind and body are still making adjustments, I'm totally adjusting to wearing comfier clothing items. The "snug fit" doesn't cut it for me and I appreciate things with stretch and elastic. Clearly, these items were made for women who value the comfort level in clothes. Comfy comfy as long as you can! 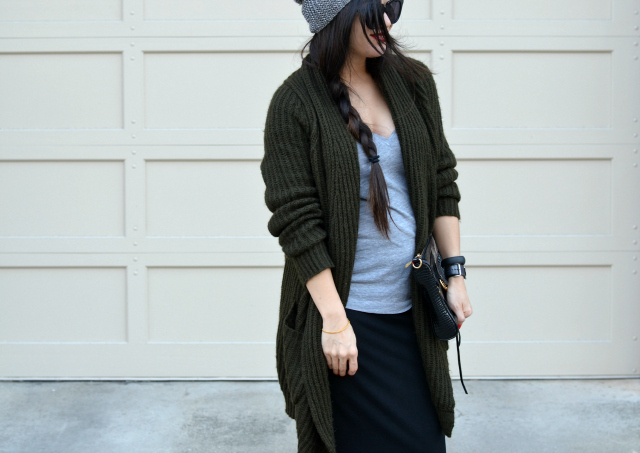 I love the cardigan! Happy holidays to you! aww how cute! You look great!!!! 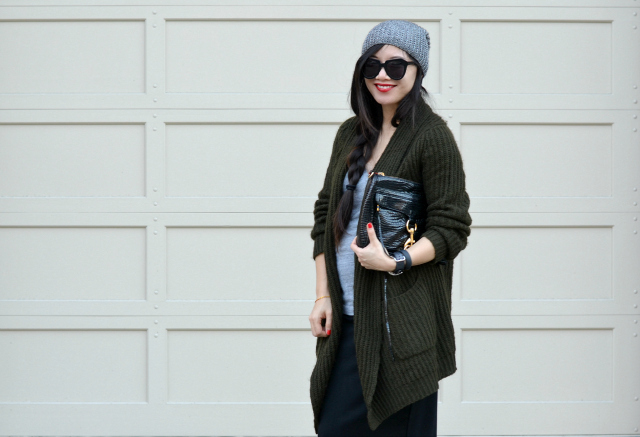 Ahhh, the bump is so cute and and I'm absolutely loving your cozy cardigan. Merry Christmas, Nancy! You look great Nancy! Still sleek and polished! I bet it's an adjustment. Congrats Nancy! I really like this whole look! I love seeing your baby bump. It's all about being comfy now and you are stylish as always! 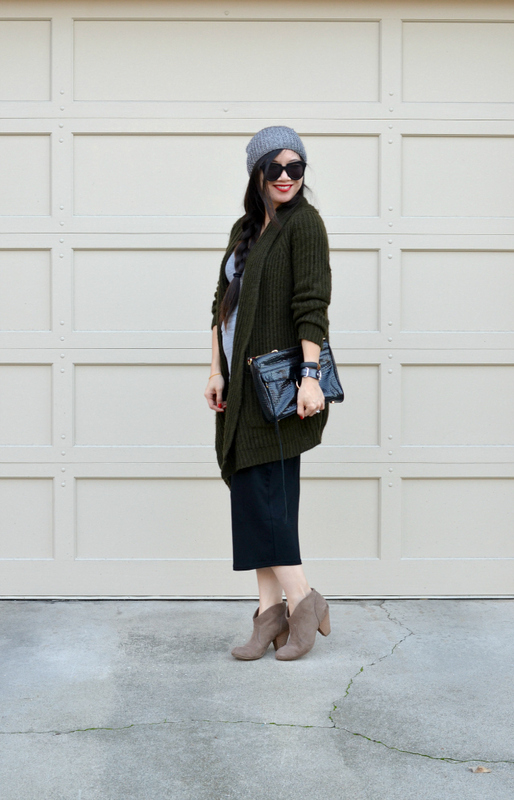 I love everything about this chic and cozy outfit! You look gorgeous! You definitely look comfy and cozy and warm! !